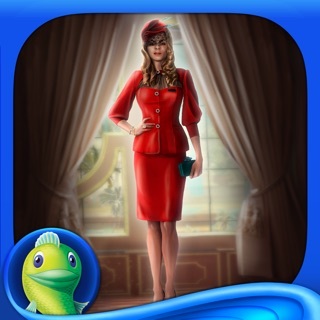 Play the addicting solitaire puzzle game with over 10,000,000 downloads world-wide! 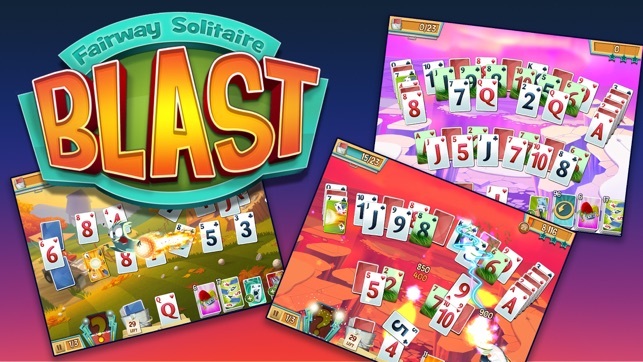 Fairway Solitaire Blast challenges your brain with puzzling card layouts, fun power-ups, and three modes of game play for endless enjoyment. Play slow or play fast – either way, you’ll have a Blast! •	Fun, free, and easy to learn! 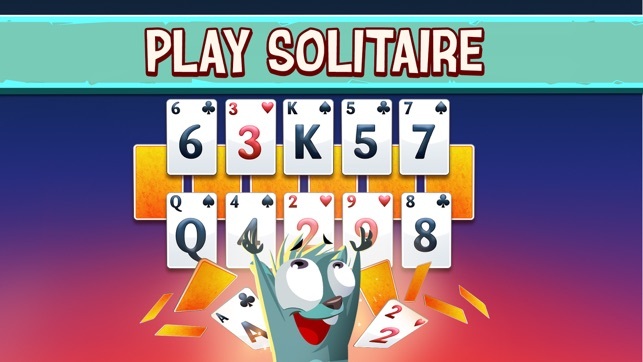 •	Standard solitaire rules apply: play one card up or down to clear the board! 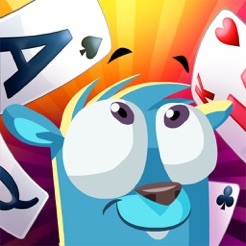 •	3 game modes for endless fun: Daily, Main, and Tournament! •	Mini-golf theme with cute “Squinion” characters! •	Daily Challenges to play every day! 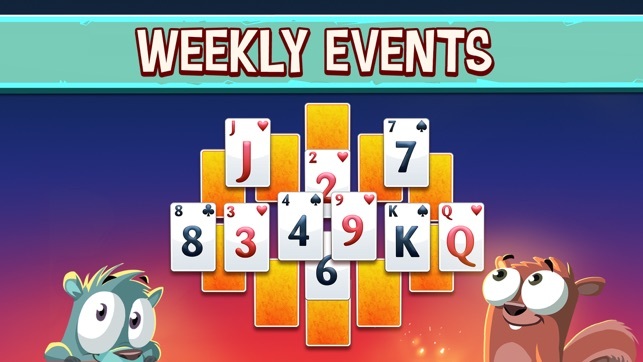 •	Tournaments of varying difficulty for players of all types! •	Facebook sign-in for access to friends & saved progress! •	Earn achievements (Cheevos!) for sweet rewards! •	1500+ levels with more added regularly! 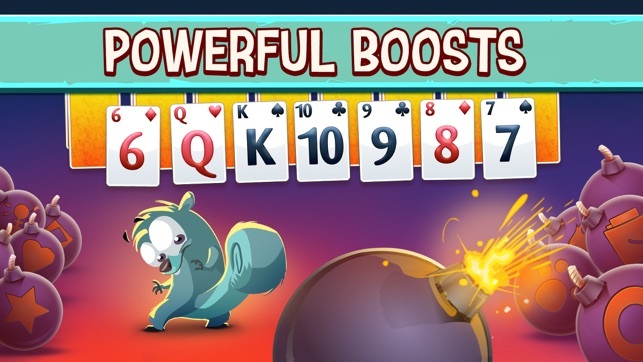 •	Power-ups to strategize your gameplay! •	Leaderboards for the competitive players! •	Redeem collectable “Stick’ems” for prizes! 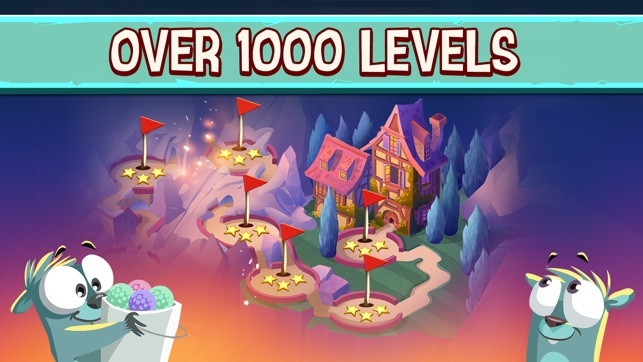 •	Different challenges to complete on every hole! Really enjoyed the game but noticed some underhanded things occasionally. I ignored for the most part and figured I was just mistaken or mis-remembered. Yesterday I “won” a great boost that was good for an hour. Was going to use it to get 3 stars on some difficult holes. So for the whole hour I found that those holes were now all but impossible to even finish. Next day, I noticed that boosts I had not used just magically disappeared! I don’t mind paying every so often to play and I have many times. But don’t “award” something, only to make it useless by changing the difficulty of the game while the boost is in use. It was painfully obvious on at least 10 different holes across different courses. And If a boost has an expiration date, then say so. I probably will uninstall the game and move on to something else even though there are things I really like about it. For now, I certainly won’t be purchasing anything. Depends on the response I receive here. Not expecting much. Making money from players is fine but you need to do it with integrity and realize that most players are not stupid and really can go play one of the thousands of other games. What can you say about a game that is so great to play. !!"BEST"!! solitaire game there is!!!! The fact is, that This game is the absolute, greatest! that's really all that needs to be said! But to sum it all up for anyone who has not yet gotten to enjoy the game! As well as I haven't yet had any complications with this app. no freezes, or time outs. This app, and game have been and are, absolutely great!! Both- This game and the creators 100% honestly deserve a really BIG thumbs up👍 for this game❗️ And just like movie critics say this gets 2 👍 👍 thumbs up again and again!! From a very satisfied user and I'm sure others will agree! !